In 1998 the UK Government published a report headed by Ken Robinson. Below are extracts from the report. The full report can be found here. The word ‘creativity’ is used in different ways, in different contexts. It has an ‘elusive definition’1 . The problems of definition lie in its particular associations with the arts, in the complex nature of creative activity itself, and in the variety of theories that have been developed to explain it. Some people doubt that creativity can be taught at all. They see creativity as a natural capacity with limited room for improvement through education. Our proposals are intended to show that creativity can be developed and how this might be done. In this section we offer our definition of creativity and the implications we see for promoting the creative development of young people. Imaginative activity in our terms is not the same as fantasising or imaging, although it may involve both. It is not simply producing mental representations of things that are not present or have not been experienced. Imaginative activity is the process of generating something original: providing an alternative to the expected, the conventional, or the routine. This activity involves processes of thinking or behaving. The behaviour may include activities where thought is embodied in the movement: such as in performance and other forms where there is not necessarily a prefigurative thinking. Imaginative activity is a form of mental play — serious play directed towards some creative purpose. It is a mode of thought which is essentially generative: in which we attempt to expand the possibilities of a given situation; to look at it afresh or from a new perspective, envisaging alternatives to the routine or expected in any given task. 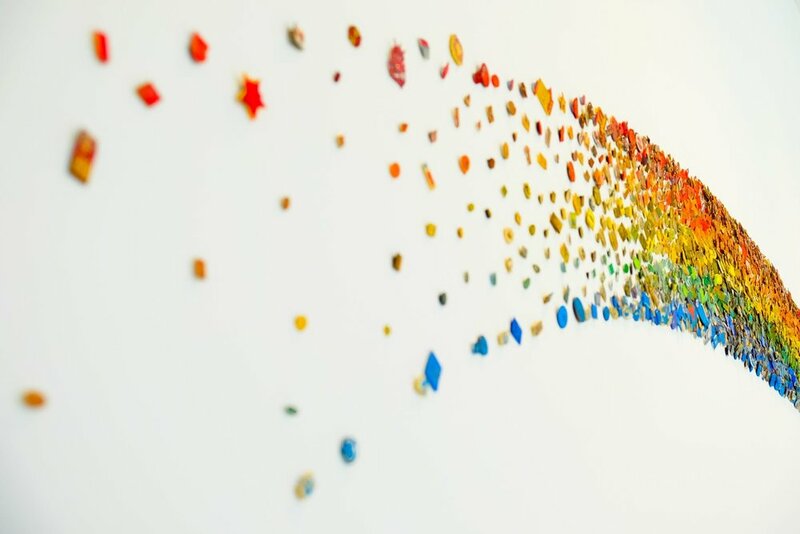 Creative insights often occur when existing ideas are combined or reinterpreted in unexpected ways or when they are applied in areas with which they are not normally associated. Often this arises by making unusual connections, seeing analogies and relationships between ideas or objects that have not previously been related. Creativity carries with it the idea of action and purpose. It is, in a sense, applied imagination. The imaginative activity is fashioned, and often refashioned, in pursuit of an objective. To speak of somebody being creative is to suggest that they are actively engaged in making or producing something in a deliberate way. This is not to say that creative insights or breakthroughs may not occur unexpectedly along the way, for example by intuition or non-directed thought, but they occur on the way to something: to meeting the overall objective, or to solving the central problem. This can be a highly dynamic process, whose eventual outcomes can be quite different than from those anticipated at the outset. Sometimes the objective changes as new ideas and possibilities come into view: sometimes, as with inventions and discoveries, new purposes are found when an initial product or idea has emerged. Creativity always involves originality. But there are different categories of originality. The work may be original in terms of anyone’s previous output in a particular field: that is, it may be uniquely original. There can also be degrees of originality within these categories: of greater or less originality in relation to individual or group output. Originality in creative work will often be judged to be of the first two categories. For reasons we come to, this can be of considerable importance in the general education of each individual. But in our view exceptional individual achievement - that is, of historic originality - is also more likely to emerge from a system of education which encourages the creative capacities of everyone. Creative activity involves playing with ideas and trying out possibilities. In any creative process there are likely to be dead-ends: ideas and designs that do not work. There may be many failures and modifications and much refashioning of imaginative activity before the best outcomes, the best ‘fit’ is produced. A similar process may then take place in terms of the application of a creative outcome. Evaluating which ideas do work and which do not requires judgement and criticism. In this way creative thinking always involves some critical thinking. Understanding this is an important foundation for creative education. There is a distinction, and there may be differences, between the evaluations made by the creator and those made by others. Equally, the value of something may only be recognised over time. We will come back to this later in discussing the links between creative and cultural development. Critical evaluation involves a shift in the focus of attention and mode of thinking as we attend to what is working or not working. This can happen throughout the process of creativity and not only at the end. It can permeate the process of generating ideas: it can involve standing back in quiet reflection. It can be individual or shared, involve instant judgements or long-term testing. In most creative work there are many shifts between these two modes of thought and focus of attention. The quality of creative achievement is related to both. Helping young people to understand and manage this interaction between generative and evaluative thinking is a pivotal task of creative education. In every interview Im asked what's the most important a quality a novelist has to have. It's pretty obvious: talent. No matter how much enthusiasm and effort you put into writing, if you totally lack literary talent you can forget about being a novelist. This is more of a pre-requisite than a necessary quality. If you don't have any fuel even the best car won't run. The problem with talent, though, is that in mosst cases the person involved can't control its amount or quality... Talent had a mind of its own and well up when it wants to, and once it dries up, that's it. Of course cerain poets and rock singers whose genius went out in a blaze of glory - people like Shubert and Mozart, whose dramatic early deaths turned them into legends - have a certain appeal, but for the vast majority of u this isn't the model we follow. Most of what I know about writing I've learned through running every day. These are pratical, physical lessons. ...I know that if I hadn't become a long-distance runner when I became a novelist, my work would have been vastly different.